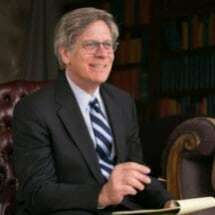 Barry D. Adler is the principal and founding member of Adler Firm, PLLC. He is a native of Detroit, Michigan, grew up in Oak Park, and graduated from Berkley High School in 1972. He attended the University of Michigan in Ann Arbor and received his Bachelor's of Arts Degree with high distinction in 1975. He attended the Wayne State University School of Law and obtained his Juris Doctor degree in 1979. From 1980-1986 he was an associate at Levine & Benjamin, P.C. in Bloomfield Hills and Detroit. In 1986 Mr. Adler founded his own firm specializing in workers compensation, personal injury, Social Security Disability and ERISA class actions. Mr. Adler is a sustaining member of the Michigan Association for Justice (MAJ) and has been selected as a speaker at numerous seminars on the topics of workers compensation and personal injury law. He is a member of the MAJ Amicus Committee. He is also a member of the American Association of Justice. He is a founding member of the AARP Legal Services Network that provides discount legal services to AARP members and their families. He is the author of the Workers Compensation section of the Michigan Lawyers Manual. He is a frequent contributor to the State Bar of Michigan, Workers Compensation Section and Social Security Law Section newsletters. Mr. Adler has successfully represented over 3000 workers compensation claimants and other injured people having collected over $300 million for his clients. He has successfully tried over 150 workers compensation cases. He served as local counsel to over 14,000 CMS Energy employees and retirees joined in a class action that recovered $28 million dollars on behalf of their pension plan against their employer in 2006. He was also local counsel to over 8000 employees and retirees of Federal Mogul Corporation joined in a class action that recovered $12.75 million dollars on behalf of their pension plan against their employer in 2007.